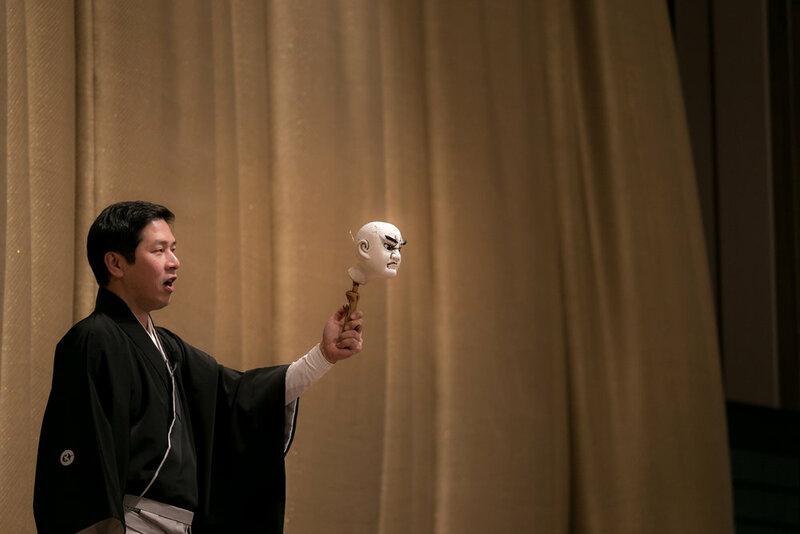 Every year, the school I work at has an arts appreciation day where the students watch a performance, usually a musical or drama. 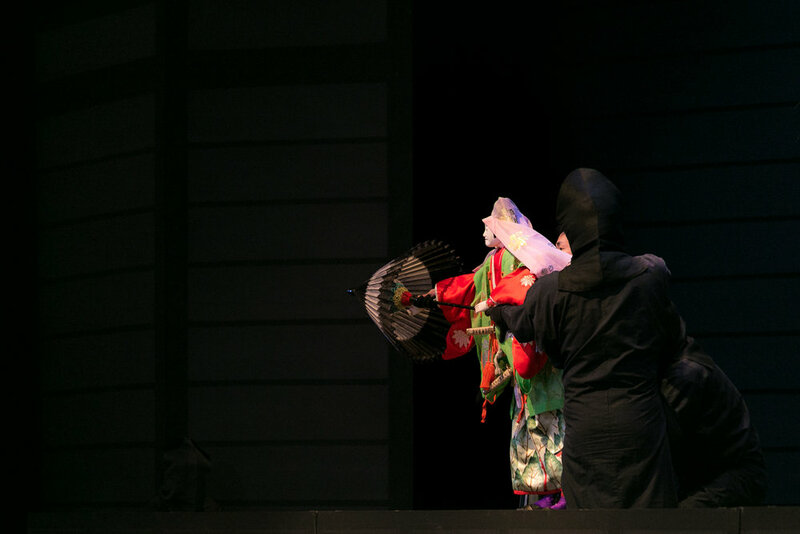 Generally, we go a theater downtown, but this time a traditional Japanese marionette group came to the auditorium at the school. I was expecting to be a bit bored, but it was actually pretty interesting. 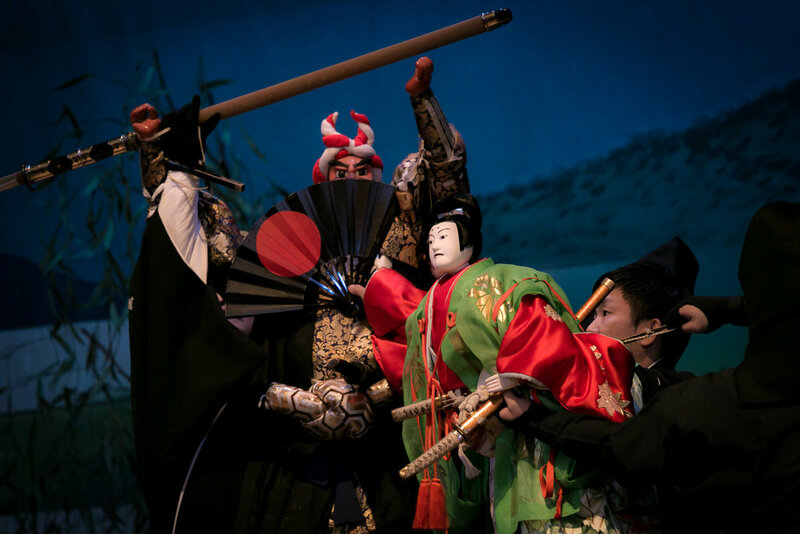 The show began with a short performance that seemed to be a battle between a warlord with a sword, and a woman with a parasol, and it ended with a parting scene between two women, where the male voice actor wailed the parts of the grieving woman who had to leave and the sympathetic woman (mother?) who stayed behind. 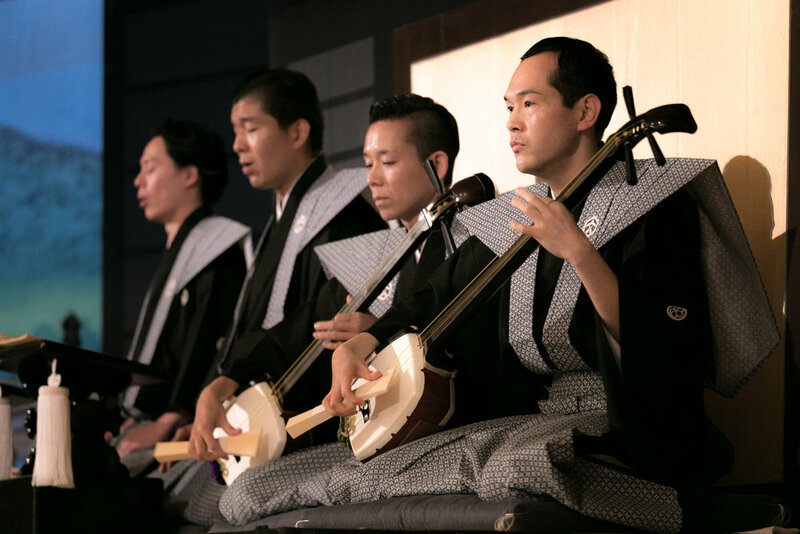 In between, some of the performers explained what they do, how they sing the different roles, play the shamisen (three stringed lute) accompaniment, and operate the marionettes. 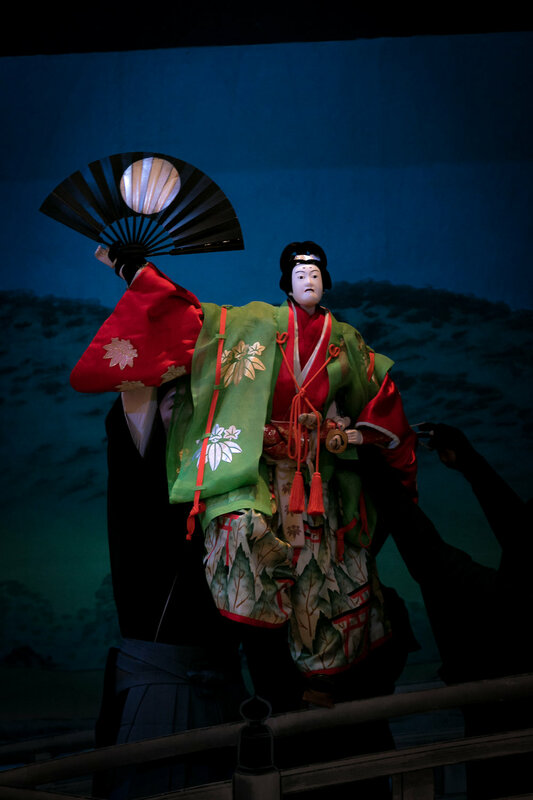 Each marionette requires three people to manipulate its face, arms and legs, two of whom dress all in black, and one who shows his face, and the range of emotions they can convey with the puppets was impressive. 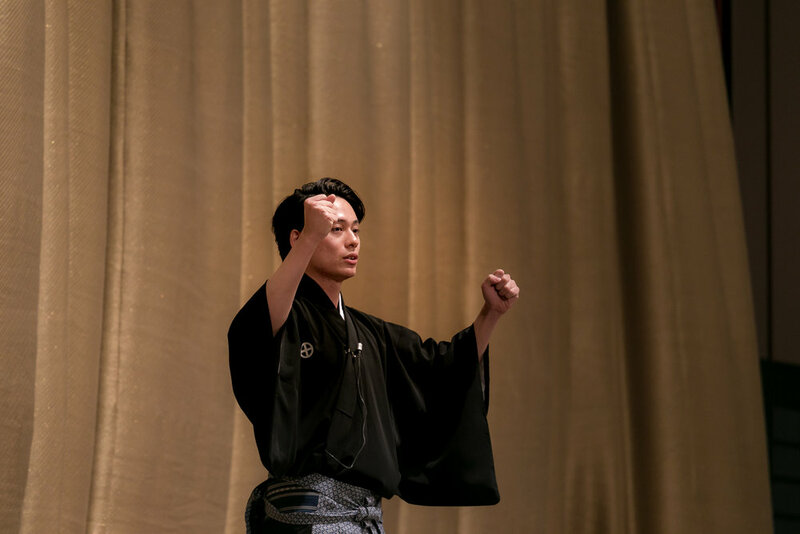 Unfortunately, the explanation was in Japanese and I haven't done my research into the significance or meaning of the performances, but maybe you can appreciate the photos anyway.